My mission finished earlier than planned due to visa issues so I left the Middle East on February 28. This is my last blog post with reflections and highlights on my experience. el Ramadán el verano pasado. 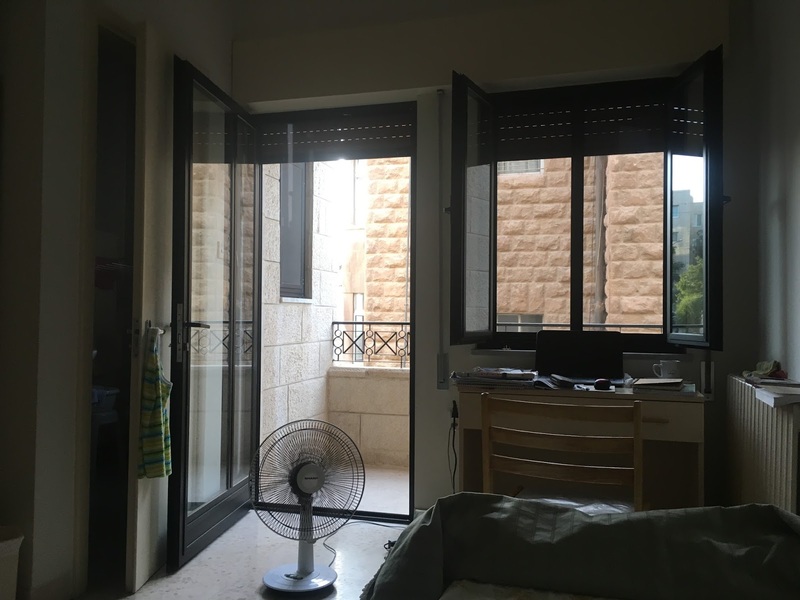 My room in Amman was big and comfortable, but needed A/C! The main challenge I encountered was the weather. In Jordan, where I stayed during summer, the temperatures were very high and there was no air conditioning in the convent nor in my room. The fan that I was given was not enough, and at times annoying, especially at night. 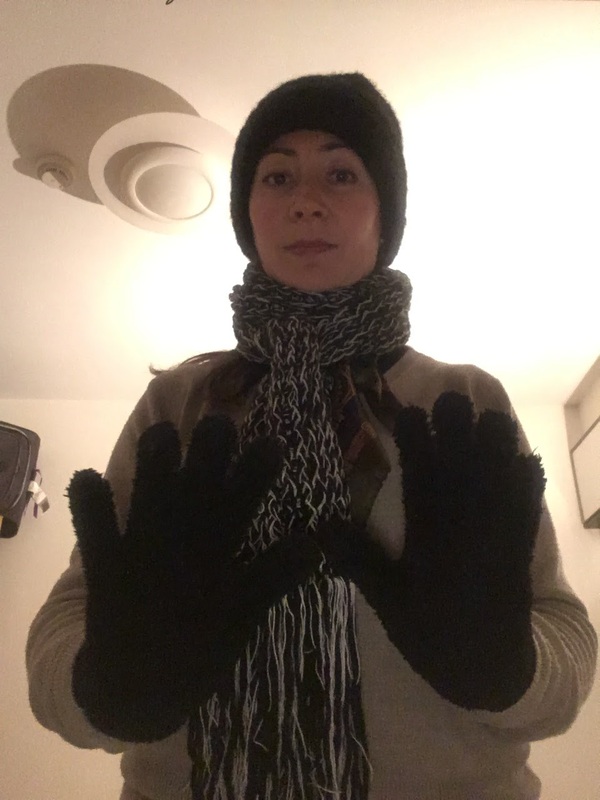 Whereas in Israel, where I stayed during fall and winter, there was a lot of wind, the temperatures where very low and the central heating in the rooms and house was only turned-on for one week in January because it was expensive. The house and the rooms were usually very cold. The electric heater I was given was not enough to warm my room at a comfortable temperature for me. I fell sick five times from September to January. After living in Miami for 15 years with A/C all the time and with no winters, my body had a hard time to adapt to those extreme temperatures. broke. Fortunately, the sisters turned on central heating that night! Although Middle Eastern food is one of my favorites and meals were delicious in every community I lived and in the Caritas Restaurant of Mercy, I didn’t eat as healthy as I was used to and had some digestive issues. In the school in Nazareth, for example, students, teachers, and employees usually brought sweets and cakes to celebrate births, birthdays, weddings, and other life events. Furthermore, in the Arab culture, you have to eat even if you don’t want to, to show appreciation to your host. As a result, I gained weight, something I never thought it could happen being a missioner! 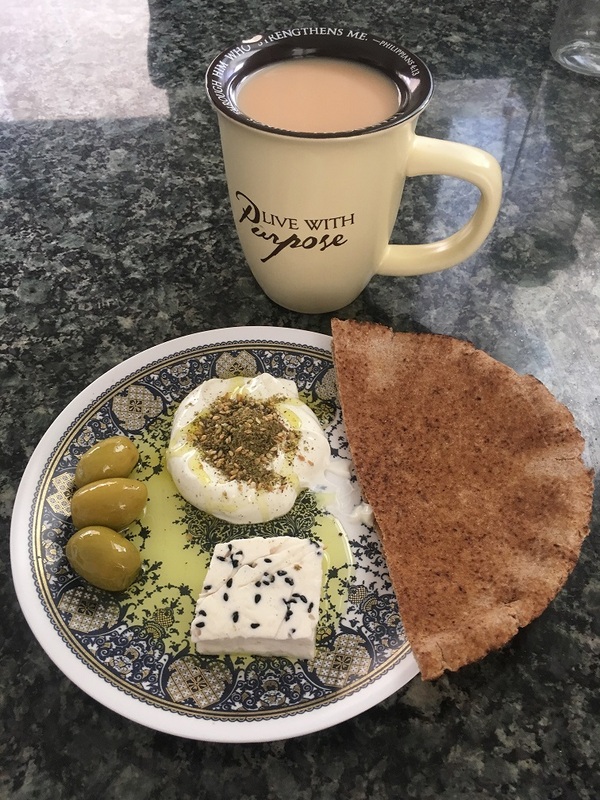 zaatar (thyme and sesame seeds), cheese, and olives. zaatar (tomillo y semillas de sésamo), queso y aceitunas. One of the many reasons why I wanted to do my mission in the Middle East was to improve my Arabic language skills. I studied Arabic at the university as part of my graduate studies at FIU in 2010 when I was interested in peace between Israelis and Palestinians, but I hardly used it. At the beginning of my mission, I was happy the official language of the Salesian Sisters was Italian since they are an Italian congregation, and I am fluent in that language. But, it didn’t play in my favor since the sisters from the Middle East never spoke to me in Arabic. And in Jordan, the majority of the people with whom I interacted spoke English very well. It was only in the school in Nazareth when I could improve my Arabic. The students helped me a lot! On a normal day, I was speaking and writing in Italian, Arabic, English, and Spanish, in that order, plus Hebrew when I had Hebrew classes, plus Portuguese the few times I met with the consecrated lay groups Shalom and Canção Nova in Nazareth. I always liked to communicate with people from different cultures and knowing languages is very helpful. After living by myself for so many years, it was a challenge to live in a community as large as 9 members, with unknown people. I stayed in 5 different communities, some for only a couple of weekends. I had to adapt to different people, personalities, cultures, ways of doing things, convent superiors, and schedules (wake-up, daily mass and prayers, meals, bed-time). I always wanted to know how leaving in a religious community was, and I had the chance to experience it. The nuns make a lot of sacrifices to dedicate their lives to God and to serve others, and I admire them for that. Being a blogger during my mission was something I really enjoyed. I had never written a blog before, and I found it to be fun. I actually enjoyed going through my pictures and writing about my experiences; it was like living them again! Being selected to write for Global Sisters Report was also a wonderful experience, although it took a lot of my time during the four months I wrote for them. I was fortunate to work remotely with Pam, the managing editor, who guided me through the editing process for each blog post in an enriching manner and with a great attitude. Something I discovered during mission: I love writing! Cultural Jordan, Israel, and Palestine are very similar. I was shocked to see so much street garbage in Jordan and in Nazareth, the high levels of dust in the air -that I found daily in my rooms- as well as seeing people smoking in bars and restaurants. The reckless driving, disorganized transit -and excessive honking in Jordan-, and the hostility of the people in the street was also shocking. On the other hand, the Arab culture is generous, affectionate and welcoming; people always invite you to their homes, even if they hardly know you, and like to offer you food and give you gifts. 1) Last May, I visited a Syrian refugee camp for the first time, which was located in the north of Jordan, near the Syrian border. I had read there were ISIS members infiltrated in the camps and the US Embassy had warned US citizens to avoid the area, so I was hesitant to go. But my Iraqi friend who organized the visit assured me the camp was inhabited by a single family (of 150 members) and it wasn’t dangerous. When I got there, I saw the camp was safe so I felt relieved and visited it for a second time about a month later. 2) I was in Jerusalem on Friday, July 14th, when the attack on Temple Mount. The sisters’ house where I stayed was few blocks away from the Old City and we could hear the helicopters and police after mass was over by 7:30 am and they told us to avoid the Old City area. In fact, the Old City was closed and nobody could get in nor get out. 3) I left the school in Cremisan (Bethlehem-Palestine) on December 5th, the day before Trump’s recognition of Jerusalem as the capital of Israel. I was lucky to leave since Israel closed the check-points to and from Israel to the West Bank for a couple of days. Two weekends later, I was traveling to Cremisan again to spend Christmas in Bethlehem, so to be safe, I had to take a shared taxi from Nazareth to Cremisan (about a 3-hour ride). I had to avoid the demonstrations in Jerusalem near the Palestinian bus station in East Jerusalem and to arrive in the West Bank early on Friday in case Israel closed the check-points. 4) On one of my last Sundays in Israel, February 11th, we went to the Golan Heights as a fun day with the Don Bosco Oratorio and some of the sisters. The day before the trip, there was an incident between Iran, which is currently in Syrian territory, and Israel (Iran sent a drone into Israel on Saturday morning and Israel sent a Jet to strike on the Iranian base in Syria right after, which Syria shot down and fell within Israeli territory). I was afraid of an escalation of events as the Golan Heights is a Syrian territory occupied by Israel since the 1967 war and is the border between both countries. Thankfully, nothing happened on Sunday. I imagine that if there was a safety issue the Don Bosco church would have canceled the trip, but nevertheless, I was worried. This month has been by far one of the toughest. February has passed and so the honeymoon stage came to an end. I began having feelings of loneliness, and frustration. Adapting to community life was much harder than I thought! During this time however, I’ve noticed that I have become stronger in prayer, patience, and love for others. Saint Mother Teresa has been a great motivator for me. I’ve been reading a book with her thoughts, prayers, and stories and I’ve learned to accept everything that comes with joy. Doing this has made tough moments more bearable and has made me never forget that the one I am working for is Jesus! The most impactful experience this month was the Holy week mission I went on with the youth group. We went to a small village about an hour away from town. I was able to see Jesus in all the children and families I served. In every smile, in every hug, in every moment of encounter, I felt God’s presence. I was surprised to learn that I was one of the first laywomen to ever go on mission to that village. This gave the girls there so much hope, to see a young woman like them doing something that men usually do. To hear their stories and share with them the struggles of womanhood was truly a blessing. Jesus has called me to do things that I never thought I was capable of doing, to be his instrument and bring hope to others. I realized that not only do I represent myself, Salesian missioners, and VIDES, but I also represent what an American is, what a young Catholic woman is, and who Jesus is. Being acknowledged as a peaceful presence of love and kindness among the adults, youth, and children I served both in Jordan and in Israel is the highlight of my service experience. Muslims and Christians interact in their daily life in the Middle East and respect each other. At the school where I served, Muslim and Christian children are best friends. Refugees are people just like you and me who studied, had a job and a family, and had to leave everything behind to save themselves. In Azraq, near the border of Syria and Saudi Arabia, I visited a camp with Syrian refugees. 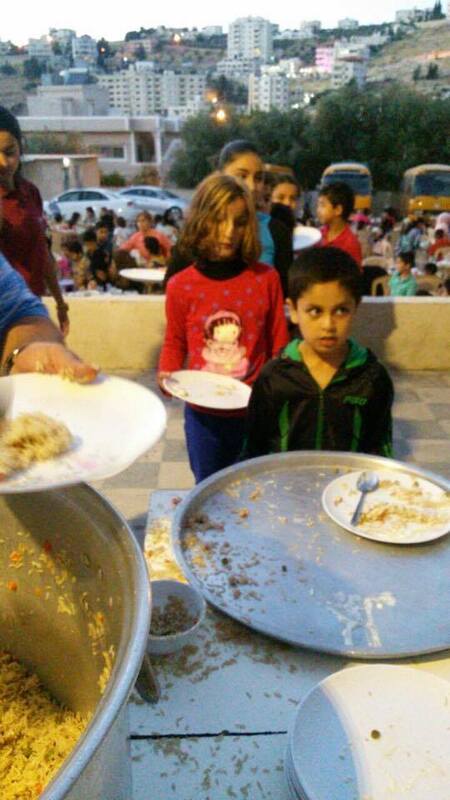 The trip was organized by Fatima, herself a refugee from Iraq, who raised funds from friends to buy a playground, then new clothes to bring to the children so they could celebrate Eid al-Fitra, which is like Christmas for Muslims. It is important for the kids to wear new clothing on that day. When we arrived at the camp, the kids were playing on the playground brought by Fatima. We were so happy to see them having fun! and living out Salesian loving-kindness and joy. I am just happy to be of service! What does a VIDES volunteer, serving as an intern at the United Nations in Geneva, Switzerland, do? — attending Human Rights Council (HRC) sessions, Universal Period Review (UPR) sessions, treaty bodies (TB) meetings, and other related United Nations (UN) events. — After each session/meeting we write reports and web articles. Currently we interns are writing oral statements to give in front of the HCR and representatives of member states. — Depending on our skills we translate, create videos, prepare presentations, provide computer support, and organize the office. My specific office duties are to organize the IIMA Human Rights Office library and update all the office computers. — I pick up certain phrases and repeat them over and over again and use them when I can in conversation. I recently went to some of the poorest communities with one of the priests from our parish here in Carcha. The community he went to celebrate Mass in had, no electricity, shortage of water, and the people spoke only their native language – no Spanish. I did not say much. I smiled and nodded a lot, but somehow I felt like I was preaching the word of God louder than if I was speaking. Going to witness Fr. Victor baptize 13 people and welcome a whole family to the faith was the most beautiful thing I have witnessed so far. My name is Estefani Crisostomo. I graduated from the University of California Riverside with a bachelors in Psychology in June of 2016. I have been working as a behavior therapist for the past two years. Many of the clients I work with have autism or adjustment issues. I have also been trained to work with emotionally disturbed children. My work with youth ministry has allowed me to develop a fond love for children and youth, motivating me to further my professional career. I am currently on my 2nd out of 4 semesters in a masters program in clinical counseling so I can become a licensed marriage and family therapist. Mi nombre es Estefani Crisostomo. Me gradue de la Universidad de California Riverside con una licensiatura en psicologia en Junio del 2016. He estado trabajando como una therapeuta de comportamiento para ninos diagnositicados con autismo o problemas de desarollo. En estos dos anos he aprendido sobre como motivar a ninos con deficits de entendimiento causados por problemas de desarollo (sindrome de down o autismo). Mi trabajo es reducir malos comportamientos como berrinches severos o aggression a si mismo o a los demas a causa de infexibilidad. Tambien tuve un ano de experiencia como una asistente de una clase localisada en una escuela no publica. Todos los ninos en mi salon tenian problemas emocionales a causa de ser huerfanos, ser abusados, o vivir en casas inestables. Este trabajo me dio experiencia en como construir buenas relaciones con jovenes que necesitan apoyo pero se les dificulta expresar sus emociones. Atravez de una relacion que establece la confianza y buena voluntad, los muchachos y muchachas pudieron aprender sobre el gran valor que tienen y lograron expresar sus emociones. Los anos que he estado trabajando en el grupo de jovenes en mi parroquia me han motivado para continuar mi Carrera academica. En este momento acabo de empezar mi Segundo semestre de 4 en una maestria en consejeria clinica. Mi meta es estar certificada como una therapeuta matrimonial y familiar. I hope to be able to put my experience with youth to great use while on my mission trip this summer. I will be on mission from the end of July to the end of August. I am convinced that serving in a mission where Spanish is spoken will be the best fit for me. This will enable me to help my community the most possible if there is no language barrier. My top three choices to serve in this summer are Dominican Republic, Honduras, and Chile. However I am open to go where the Lord places me. Deseo usar mi experiencia con jovenes y ninos para ayudar en lo que pueda durante mi mision este Verano del 2018. Los dias que estoy disponible para servir son los dias 26 de Julio hasta el 26 de Agosto. Estoy convencida que mi familiaridad con el espanol es signo de que deberia de servir en un pais donde la gente hable en espanol. Tambien hablo ingles y estoy dispuesta a tartar de ensenar lo basico durante mi visita a la mision. Los paises donde me gustaria servir son Honduras, Republica Dominicana, o Chile. Pero mas que nada, estoy disponible a ir a donde el Senor diga. The two week formation camp I have attended has helped me grow in my ability to properly accompany the youth I will serve in mission but also while I am at home with my youth ministry. The formation training has allowed me to deepen my faith by providing daily mass and time for reflection and prayer. The time I got to spend with the unaccompanied minors at St. Peter St. Joseph’s Children’s Home has been such a blessing. As the daughter of young immigrants, I felt blessed to care for the marginalized and really accompany them for the short time they were with us. Seeing a smile on their faces and their hunger to learn about God led me acknowledge that they gave me much more than I gave them. At St. PJ’s children’s home we were able to start a bible camp. The children who attended were given the choice to attend and the 30 we had were so attentive and inspiring to see. We led the teens in prayer, the acting out of the story of Joseph, songs, crafts, and team building games. Durante las dos semanas de formacion, aprendi mas sobre como interactuar efectivamente con jovenes. La idea de acompanar a los jovenes en vez de estrictamente dirigir tambien fue presentada muy efectivamente. La formacion me ha permitido crecer espiritualmente al facilitar que atienda a misa diariamente y hacer mas tiempo para orar y reflecionar. Las horas que pude pasar con los jovenes imigrantes recojidos en la frontera fueron unos momentos de leccion tan hermosos. Los ninos en la casa St. Peter’s and Joseph’s hablaban espanol y ciertos dialectos. Como hija de padres de immigrantes, fue un honor servirles a los muchachos con mucha alegria y interes genuino. Ver la sonrisa de los muchachos y su hambre de Dios fue muy inspirante. Durante mi tiempo con los jovenes imigrantes pudimos ensenarles sobre la historia de Jose de Egypto , actuar una obra sobre la historia biblica, cantar canciones, orar, trabajo creativo, y juegos para trabajar en equipo. Hello, my name is Karia. I am from California. I obtained a B.A in International Business from California State University, Fullerton and currently work at Cerritos Community College. Throughout my academic and professional career, I have had the privilege to work with youth and adults from diverse cultures and backgrounds. While assisting students in their academic challenges I have developed a strong desire to teach. That is why, upon my return from mission, I look forward to starting the credential program for teaching. Among the few things that I enjoy very much are exploring nature, learning different languages, and outdoor activities. Therefore, I am very grateful for and eager about this amazing opportunity to go to Europe or Latin America and immerse myself in this cultural and educational learning and teaching experience. This is a special opportunity that, without doubt, will be meaningful and spiritual, as it touches the conscience and the heart by empathizing with humble and fragile communities. The Formation and Service Camp provided is an essential component of the VIDES missionary program, for it provides the information, tools and practice that prepares the missionaries mentally and physically. For example, after learning a bit about the children at St. Peter St. Joseph’s Children’s Home, an entertaining lesson and fun activities were designed to lift their spirits through the Word of our Lord. We also joined the children at St. John Bosco School during their lunch and play time. We gave them a VIDES presentation and shared our mission purpose and plan. Both experiences were greatly rewarding, as the children actively participated, demonstrated their joy and expressed their gratitude. The Formation and Service Camp provided a road map for meaningful and quality service, all with the purpose to ensure success for both the mission and missionaries. I personally enjoyed it very much. In addition, it gave me a feel of what it is like to live, interact and serve in a community of sisters who serve and live for the love of God. I personally recommend it, as I have come to realize that we are all already missionaries, so I invite you to come discover why. My name is Sarahi Perez and I am from Illinois. I graduated from the University of Illinois at Chicago with a Bachelor’s degree in Sociology and Religious studies. At different stages during my college career, I volunteered at a hospice home, I tutored and mentored grade school children, I led bible study groups, and helped lead retreats. During my junior year of college I was hired as a marketing intern for a non-profit organization called The Resurrection Project and I helped with their social media, monthly newsletter, and website. Later on I worked with a larger non-profit called, The Big Shoulders Fund, as a summer fellow helping inner city Catholic schools to have enough resources and stay open. I also worked as a marketing intern for Our Lady of Tepeyac Elementary School toward the end of my senior year. However, the best experience I’ve had was after I graduated college and was hired as a summer teacher for a catechetical program. I enjoyed teaching children about salvation history, the rosary, and having the opportunity to watch them grow with each activity we did. The Totus Tuus program helped me realize how much children long for Jesus and how meeting someone who is passionate and on fire about their faith can change their perspective about religion. This program connected me to a small young-adult retreat team and for a couple of months I helped organize and lead retreats for several Catholic schools and parishes within the Diocese of Joliet. Lastly, before becoming a VIDES missioner, I also worked for Our Lady of Victory convent as a receptionist and helped with tasks in the human resources department. Sociology and Divinity. From all the work I have done I have mostly enjoyed the work with children. Being able to help youth and empower them with knowledge and truth has been the most rewarding work. Rosario in San Pedro Carchá. From what I know so far I will be teaching English, assisting the sisters with psychological cases of children, giving value formation classes, and possibly teaching catechism on Sundays. training guide and all the wisdom sharing. I think the faith journey sharing was also a great exercise that helped the group grow and connect better. All of the videos we watched were great, but I mostly enjoyed the story of St. John Bosco because it brought to life a lot of things we read and learned about. I also really liked the Lectio Divina we did together on the story of Joseph and all the meditations guided by Sister Theresa. Although we were only allowed to go one day, the service we did at St. Peter St.Joseph’s Home for Children was incredible. I did not think volunteering a few hours of our day, playing games, and singing songs with the boys would make such a difference in my life. I was able to see the suffering and trials in a lot of these boys’ eyes, as well as the loneliness and desire for authentic care and love. Most of the boys were around my younger brothers age and it really made me reflect about how much they need someone to just listen to them, or tell them how much they are loved and have a purpose. I thought a lot about something Mother Teresa said once – “Do small things with great love.” Simply being there for these boys with a big smile and open heart made a small impact. The way they responded to the story of Joseph also helped me see in a vivid way how our Scripture is truly the living word of God. NOTE: Sarahi left for her mission in Guatemala on January 24, 2018. Please keep her in your prayers. On December 24th I received the best Christmas gift of my life. We went to the midnight Mass at the Nativity Church of Bethlehem with four of the sisters and Anna, a young volunteer from Italy. It was cold and raining heavily, but we were dressed for the weather, and we could get in the church fast. To attend, you need to order in advance free tickets issued by the Franciscans, who are the custodians of the holy sites in the Holy Land. We arrived by 9 p.m. and spread out inside of the grotto, where each of us found a special place for prayer. Anna and I sat at the grotto that was the manger where Jesus was born. Priests celebrated Mass at midnight here. It was so special to be there that it took me one hour to pray one rosary. I thought about all the people I know and don’t know and prayed for everyone, naming the ones I know one by one. I prayed a rosary for all my family and my friends and their families. I prayed for all who are sick or are going through a special situation in life. I prayed for peace in our hearts and in particular for peace in the hearts of the Israelis, Palestinians, and extremists in all religions so there could be peace in the Holy Land and in the Middle East. I prayed for all the Christians in the Middle East who are persecuted and for the priests and nuns who so lovingly and courageously work in this part of the world. I prayed for all the refugees, for everyone I met in Jordan, for Caritas and the Restaurant of Mercy and their teams, for all the Israelis and Palestinians I know and that I recently met, and for VIDES+USA, the Salesian Sisters in San Antonio, Texas, and the ones in the provincial house of the Middle East, all who so warmly welcome me into their homes, and for the entire Salesian Family. I was very fortunate to be in Bethlehem and in the Holy Land at this time of the year, and I truly appreciate all who have supported me during my mission in the Middle East in one way or another, who were also included in my rosary prayer. 4:45 AM – When the alarm suddenly shook me out of sleep I knew it was time. Today our internship group would pick up our United Nations badges. Upon eating breakfast and wearing our Sunday best, we were out the door by 6:25 AM to catch the number eight Bus OMS to Palais des Nations. Our group got off the Appia stop and walked towards the UN building, prepared to go through security. Luckily there was not one person in sight – just us. It was a miracle! I was holding my badge in front of me – a most precious identity. The Istituto Internazionale Maria Ausiliatrice (IIMA) Human Rights Office, which is a part of ECOSOC (The United Nations ECOnomic and SOCial Council), had entrusted me with the great task to help represent its organization as an intern. For the last two years I worked with the Salesian Sisters of St. John Bosco, Figlie di Maria Ausiliatrice (FMA), who founded the institute and its lay missionary organization, Voluntariato Internazionale Donna Eduazione Sviluppo (VIDES), to promote and defend the rights of women and children through education. Now, here I am, again, hundreds of miles away from home continuing to share their mission commitment. This time I am at the heart of their mission to help bring witness to why we are at the UN, which is to promote a world where young people may realize their full potential. This time was different. I did not have any experience working with human rights issues. Not to mention, I did not speak French, Spanish, or Italian, which is essential for this internship. As we walked from room to room within the United Nations, I began to imagine the long hours and effort each country must have put into each of these rooms as they discussed. In a few days, I would have the chance to attend the 37th Regular Session for the Human Rights Council. So many nations. So many ideas. So many faces. Inside the place where change happened, I felt even smaller. I had come to Geneva with uncertainty and without much faith in my abilities to be a voice for change, yet, here was a great opportunity to grow and learn. The UN is impressive, but what was even more impressive was seeing how the IIMA organization had so much trust in its young people to allow them to be the very face of their institute. They were educating their young people to advocate for their own rights. I may have felt small, but through humility and God’s grace, I achieved many things I did not think were possible. How certainly blessed I am!